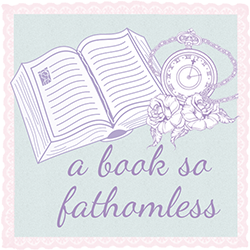 A Book So Fathomless: Hoooolidays!! with my wonderful parents (no seriously, they are wonderful enough to take me away for a break before I begin to hit the craziness which will be the next couple of months that lead up to my final exams). In previous situations I've still been checking here now and again and replying to e-mails, but this time around I will have absolutely no internet connection and so I leave you in the mildly able hands of the adorable, but totally insane, Chami. I haven't scheduled anything for this time, but with any hope, I will return from my holidays with some reviews to put up and possibly even some new books to show you all. I hope you all have a wonderful week and that Chami doesn't drive you too crazy. See you soon!